Woolpert is an industry-leading provider of various digital watershed services, including advanced water monitoring, modeling, data analytics, and consulting. We employ innovative methods and state-of-the-art technology to gather, store, and disseminate hydrologic and meteorological data sets. 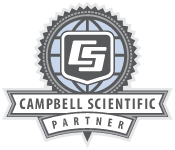 Campbell Scientific data loggers and sensors are integrated into Woolpert’s stand-alone monitoring stations to provides near real-time information to secure websites, 24 hours a day, seven days a week. Additionally, we collect and transmit data through IoT devices produced and supported by Campbell Scientific. Woolpert uses the adaptability of the Campbell Scientific loggers to better manage data collection by controlling and integrating external devices.